The Shengshou 2x2 cube has a sturdy feel, but it lacks corner cutting, and internal mechanisms are a bit too blocky. The cube is not designed for speed, though turning is smooth, it locks often as if the pieces are not lined up perfectly it locks up due to no corner cutting. It does not pop. 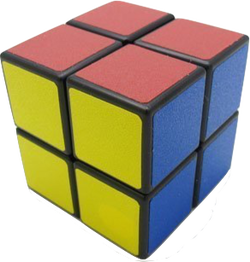 This was my first 2x2 after the Rubik's brand. I was completely blown away by its speed and smooth feel. Unfortunately the pieces are not florian modded so catching is a very big issue. This is a great cube for someone starting out who might need to focus on accuracy over speed.